Find the Best Barbecue Grills Reviews! You don’t have to break the bank to get a great grilling experience. Each of the seven products that are reviewed below is under 300 dollars, and are listed from the most affordable to the most expensive. 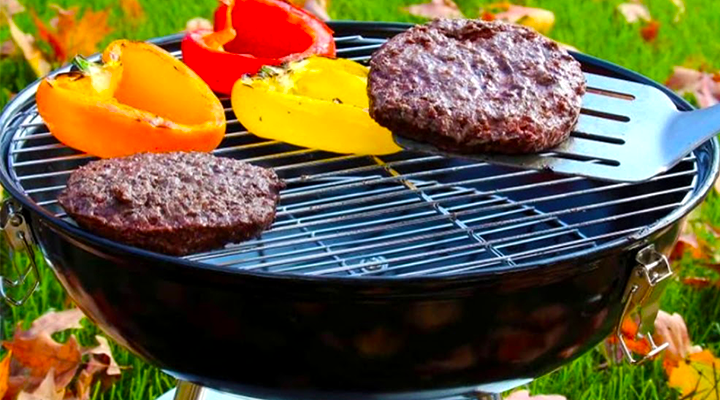 Each entry on this list contains general physical characteristics common with each product, followed by a stand-out feature unique to a particular grill. The reviews finish with a bullet list of Pros and Cons. Simple features like the rust-resistant aluminum vents make this grill easy to operate by almost anyone. This unit represents the best barbecue grill under 300 dollars for affordability. You might like this choice more when you learn about its 10-year warranty. If you’re on the fence about buying a Weber grill, check out our selection of best Weber grills that you can buy this year! The steel body makes this Smoke Hollow choice the best barbecue grill under 300 dollars for durability in a portable cooking surface. Users appreciate the sleek locking lid that stays put thanks to locking hood latches. There are 105 square inches solely for cooking surface. At 10,000 BTU, this Smoke Hollow grill will get your meat done in half the expected time. Most of all, you won’t break the bank with this solid model. Each shelf provides over one square foot of useful area, making the Classic 280 the best barbecue grill under 300 dollars for holding space. Two burners made of stainless steel await you to make use of their 20,000 BTU. In the end, you’ll get delicious meals that won’t stick to the grates thanks to their porcelain coating. The grill has a compact design and legs that make it the best barbecue grill under 300 dollars for lightweight portability. What’s appealing about this Cuisinart product is its accompanying ash catcher that will save users a lot of trouble with their cleaning. Thanks to its sleek, standard features, this Cuisinart model also works as one of the best charcoal grills. The Durable Outdoor Barbeque & Burger Gas Grill is a nice-looking dual action grill (gas and charcoal) with a solid build and very low price. It does what It says, although for the price, don’t expect the materials to be quality. If you plan to keep it outdoors, get a grill cover first. The only major downside of this unit is the assembly time (it can take around 3 to 4 hours to fit all the pieces together.) All in all, this is a solid and spacious combo grill for both indoor and outdoor use. The Weber 51210001 Q1200 is a nice portable barbecue grill with a round shape that enables superior heat circulation to other similar models for really even cooking. The grates are made of porcelain-enameled cats iron, which means that the grill excels at heat retention. It works with small propane bottles but we do recommend getting a larger propane tank and an adapter hose if you are serious about grilling. This product is able to cook in a variety of ways, making it the best barbecue grill under 300 dollars for cooking versatility. Blackstone created a multi-use cooking tool designed for enjoyable outdoor experiences. Users won’t have to do much after their cooking session as the removable catch pan makes cleaning a breeze. The design and materials used for this barbecue grill could make it the best barbecue grill under 300 dollars for heavy-duty construction. The gas grill offers an impressive 40,800 BTU power that sparks up instantly thanks to its electronic ignition. The Megamaster 720-0983 is a propane grill that does what many expensive grills do at half the price. It has impressed us with its solid construction and extra work space on the sides. Thanks to its 6 burners, it heats up incredibly fast (it can hit 700 degrees (F) in less than ten minutes and cools down quickly as well). It also cooks evenly. We believe that you won’t find a better and more spacious six-burner grill (with a total BTU of 54,000) for this price. These products use a variety of fuel, cooking space, and design features to cook meats just the way you want it. Do you own one of these grills or another not mentioned here? Make sure to share your grilling experiences, as well as your product recommendations with us below! Great article to share! Everyone can appreciate a good barbecue grill for under $300. People just don’t always have the money to spend hundreds of dollars on a new grill, but everyone can appreciate grilled foods. A great view, Rhona, not everyone can afford a full-fledged grill from reputed brands. However, with just a bit of research and an understanding of what it is exactly you want, you can keep your budget and get a quality product. For a wider grill option variety, follow our Facebook page!